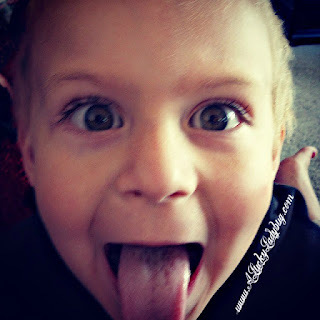 As a parent of a two elementary aged children and with a two year old nephew around as much as my own, I am always trying to encourage them to get excited about learning especially together. They are constantly fighting over toys and games as well competing with each other in every way. I truly believe this is the age where you set all of the expectations for your children for their entire life especially when it comes to education. They will either enjoy learning and work hard to get through any obstacles or they will continuously struggle and get discouraged. This is when they learn important social skills and how to interact with others even into their adult life. 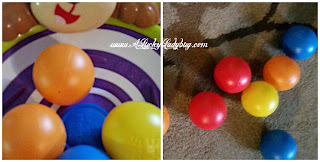 So, I try to constantly find activities and toys that will appeal ply to the boys OR something that compliments their individual strengths as they are quite different. 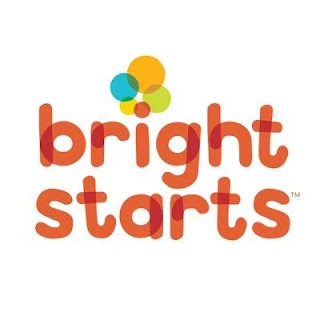 I was absolutely thrilled to be given the opportunity to throw an exciting Bright Starts™ “League of Little Laughers” party last weekend with my kiddos and all their little friends. This is the perfect time for getting together with friends and family as well as a great time to test out gift ideas! We all know there is nothing more satisfying than watching a child's eyes light up and nothing gives me the butterflies like the sound of my kids laughter. Bright Starts™ sure knows how to do this and is "a brand committed to smiles, giggles and happy babies! 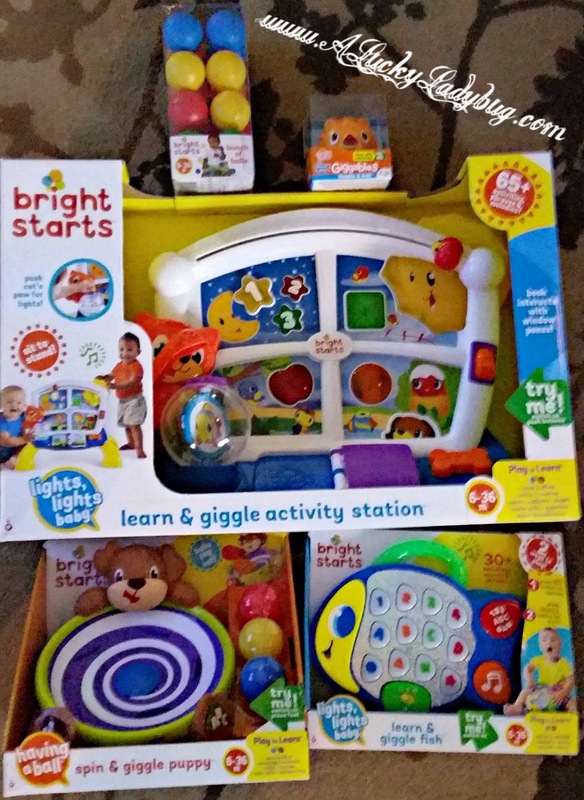 We were sent over quite a few toys to play with from Bright Starts including Learn and Giggle Activity Station, Spin and Giggle Puppy, Learn and Giggle Fish, Giggables Wobble and Roll, and an extra set of Bunch of Balls. We had quite the age range of kids here from about 16 months to seven years old. Each of the kids had a blast, some even passed out on the floor by the end of the day. With the variety in ages we had someone interested in each toy as well as some of the bigger kids who enjoyed working with the younger ones too! 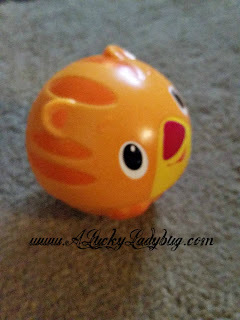 The Bright Starts Giggables Wobble and Roll was a huge hit among all ages since the kids could chase it around the house. The younger ones under two were really entertained by the Spin and Giggle Puppy with all the balls. All in all, good times were had by all this past weekend! Even the adults were able to enjoy some great conversation while the little ones played and laughed with the Bright Starts toys. We enjoyed being able to find time to get together in the midst of the holiday bustle and were definitely given some great gift ideas. It was nice to hear the thoughts of the kids regarding their toy wish list as well as what the parents had in store for their little ones! What a fun time for all! It's good to give your kids a head start on learning and learning to share. How cute! 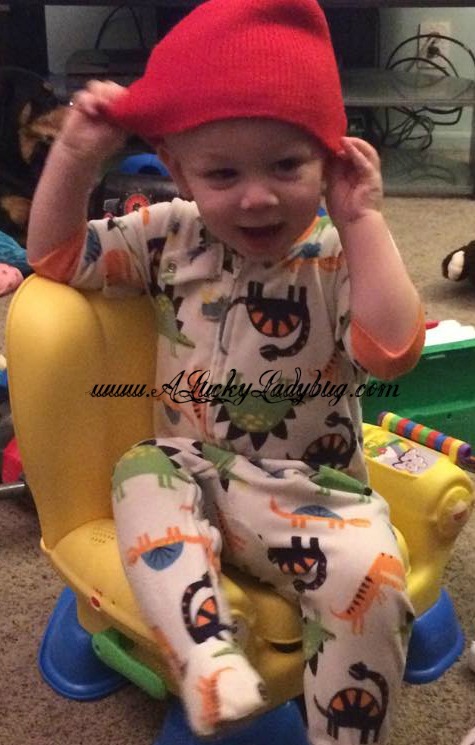 It's true that kids know more about tech than most adults! My six year old nephew can 'fix' my issues online much quicker than I can! These toys look like a lot of fun.